Our fallen soldiers and veterans and their families should be treated with our utmost respect. Our President Trump is a GOOD man who knows and respects that and he would never hurt a spouse of a fallen soldier. 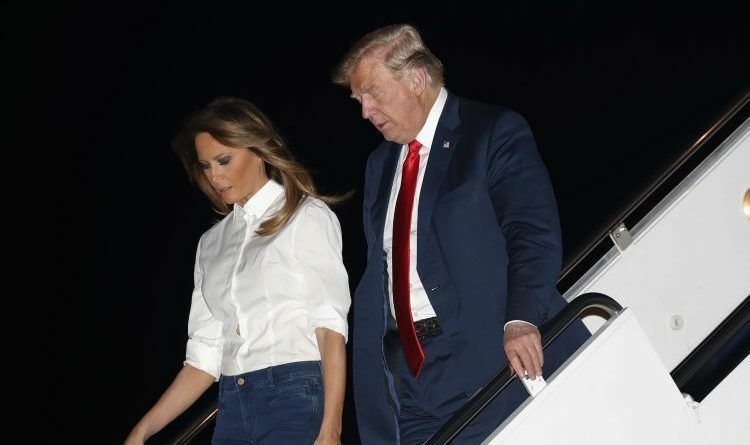 President Trump and First Lady Melania traveled to Joint Airforce Base Andrews to honor the return of fallen United States Secret Service Special Agent who died during the president’s trip to Europe. The agency says Nole E. Remagen suffered a cerebrovascular accident on Monday during Trump’s trip to Belgium, the United Kingdom, Scotland, and Finland. Remagen was a five year veteran of the US Marines and served the Secret Service for 19 years. “Melania and I are deeply grateful for his lifetime of devotion, and today, we pause to honor his life and 24 years of service to our Nation,” Trump wrote. Nole served this country for 25 years. His father was a career Secret Service agent, and his grandfather served for 30 years in the US Army, serving in WWII, Korea, and Vietnam. I am thankful we have a POTUS and FLOTUS who show appreciation for the Secret Service who guard them. We have an awesome president who truly loves America. President Trump is a man with a big heart. With every day passed, he just shows us how generous and kind he is. I salute Special Agent Remagen and his service to our country. RIP!